Eva-Lotta Jansson’s outdoor exhibition An Acid River Runs Through It is now also a book. It’s a photo-documentary essay about acid mine drainage—water pollution caused by historic- and some current mining activities—and how it affects water resources and communities in South Africa. 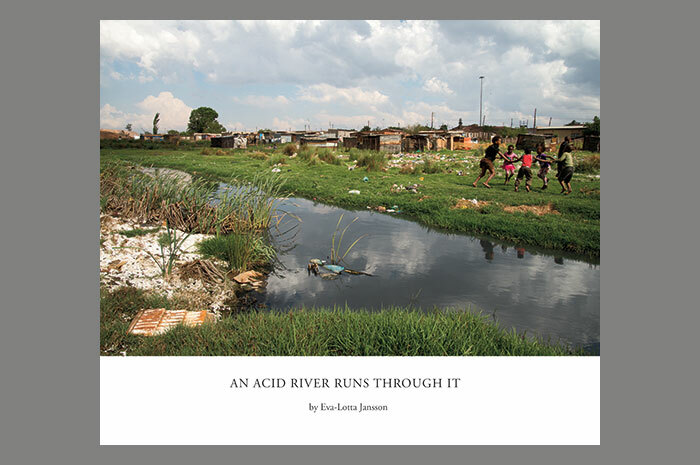 An Acid River Runs Through It documents how acid mine drainage (AMD) affects water sources and communities in South Africa. Large volumes of acidic water carrying toxic sulphates and metals such as lead, zinc, copper and radioactive uranium are released into the environment by current and past mining activities. The poisonous water flows from gold and coal mining, largely untreated, into the groundwater, and into streams and rivers. 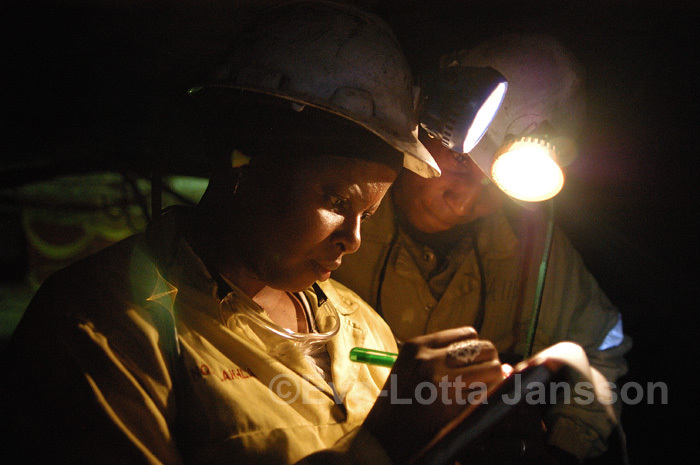 When I came to South Africa in 2005 to photograph women in mining, I wanted to document how the country’s historic transition from Apartheid to democracy in 1994 also paved the way for the empowerment of women. 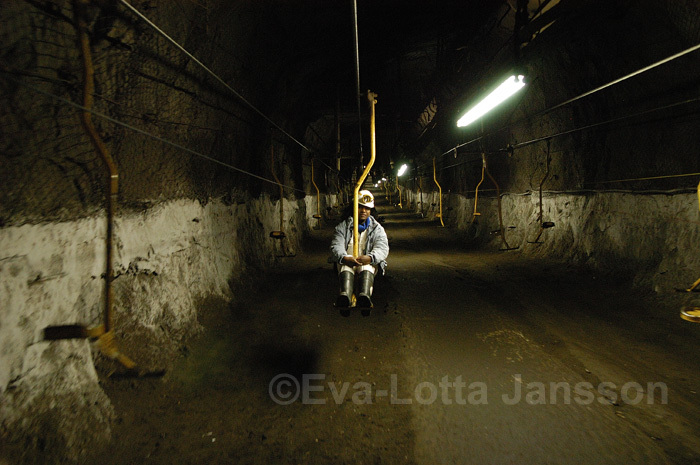 Through this project I came to see how changes in the workplace – and indeed in society as a whole – could be illustrated very visually in the underground mining environment. Women were excluded by law from working there until 1996 and although they are still very much in the minority in this challenging industry, their numbers are increasing. 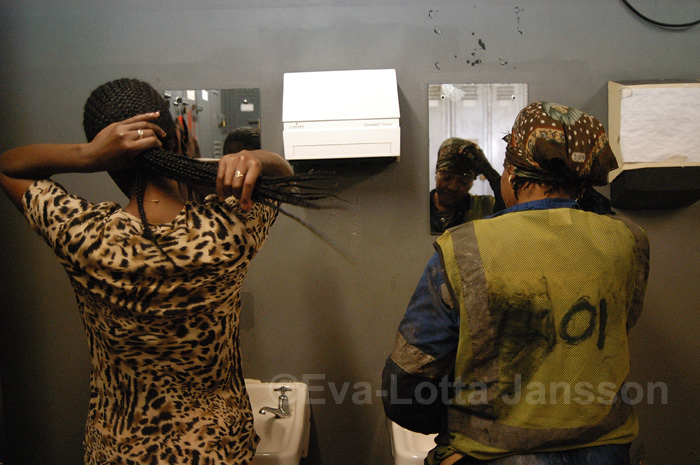 It has been exciting to travel underground, photographing some of the results of the country’s historic transformation, capturing how the almost iconic image of the male miner has, here and there, assumed a woman’s face. The primary focus of my work has been those who are officially called miners – women with “blasting tickets” who are qualified to supervise the blasting, mining, as I feel they provide a true measure of change. Under apartheid no black people, let alone women, were allowed to handle explosives. Some of the women featured in this exhibition qualified as miners years ago and have since climbed the ladder to become shift bosses and mine overseers. They are in supervisory positions on career tracks which could well see them one day becoming mine managers, a position historically held only by white males. However, the exhibition also features women working in some of the other important mining jobs, such as cage drivers and ventilation officers, and touches on the first signs of entrepreneurial mine ownership among women. 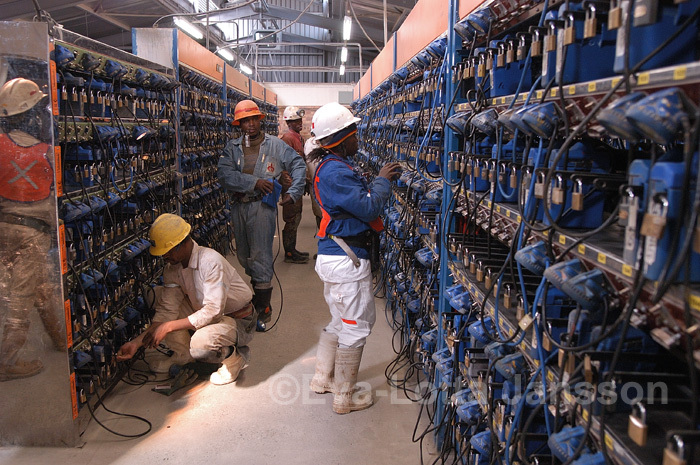 South Africa’s mining charter originally said that by late 2007 the mining workforce should comprise at least 10 percent women. 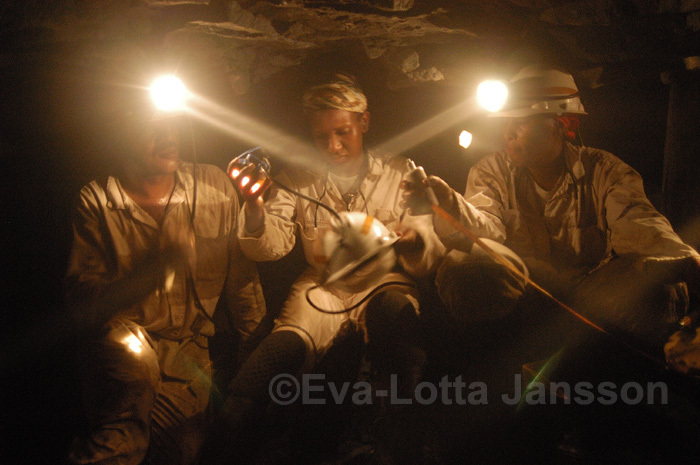 Although many mining houses hadn’t yet reached that target when this exhibition was on display in 2006, mining companies were making strides toward it, with some companies expected to meet the goal by 2009. That’s not to say that women have been completely accepted underground: “The underground is no place for a woman,” is a comment I heard several times while working on this project, more than once from male managers who had been assigned to take me down various mines to photograph the women who form the subject of this exhibition. Their comments were not always prompted by a belief that women weren’t capable of working in mining, but out of an apparent concern for them. “I wouldn’t want my daughter working here,” some said. Nevertheless, perhaps these women pioneers, through this documentation, can serve as an inspiration to others. They are a powerful manifestation of positive change. 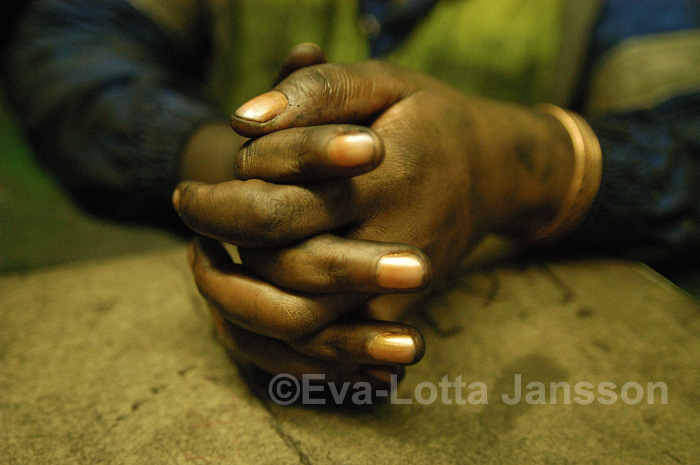 ‘Women Miners in South Africa’ opened at the Bensusan Museum of Photography, at Museum Africa, on Women’s Day, in 2006, and then visited several mining towns around South Africa. The images here are a small sample from the exhibition.